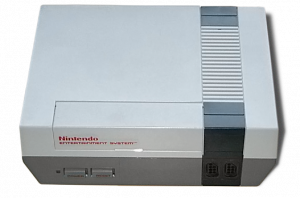 The Nintendo Entertainment System was the first console gaming system to make it big in the USA and began what many (myself included) call ‘The Golden Age of Console Gaming’. While it is true that such systems as the Atari Video Computer System (VCS) were available before the NES, it’s low cost of ownership coupled with the wide array of games available for it sent it to super stardom. By 1989, every boy dreamed of having one of these machines under their Christmas tree. 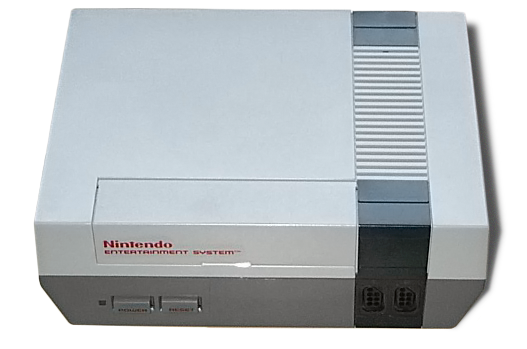 The NES made its creator, Nintendo Corporation, a household name in the USA. Games were created for either one or two players and all games were released in a standard gray cartridge (the only exception being the Legend of Zelda series which featured gold cases). The standard system was shipped with one NES controller and the Nintendo Zapper to be used in the pack-in game “Duck Hunt.” Over time, additional accessories such as the ill fated “Power Glove” and the more functional joystick controller were created but few games required them.